Reduce everyday congestion markedly, by smoothing traffic flows and prioritizing traffic in response to demand in real time. It will also provide a perfect opportunity to install monitoring equipment to collect much more detailed traffic and journey data than we have now. Each set of traffic lights will have communication equipment that can be used to transmit (anonymous) vehicle data, either from ANPR cameras or Bluetooth detectors, and CCTV feeds (where appropriate). 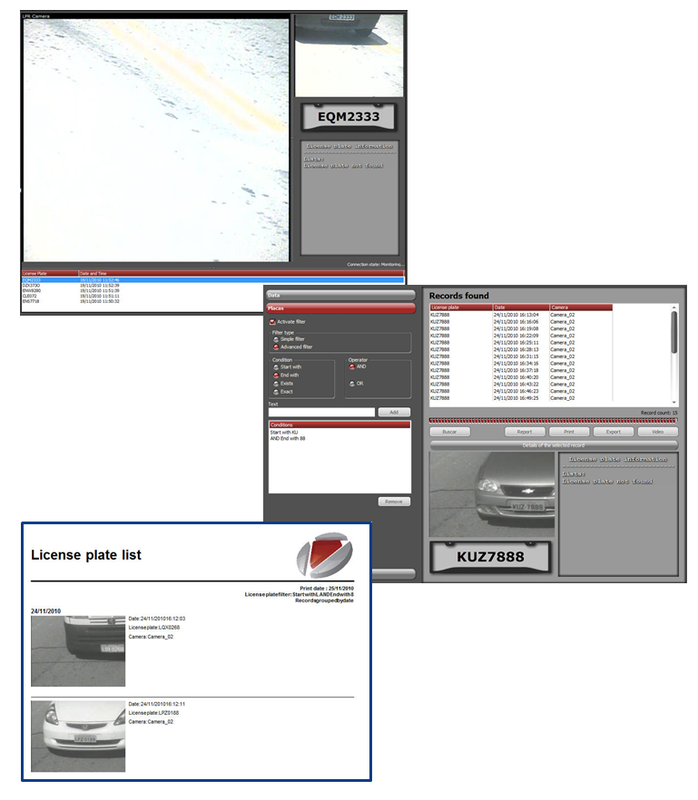 ANPR (Automatic Number Plate Recognition) software uses OCR (Optical Character Recognition) capabilities for automatic recognition of vehicles number plates. ANPR allows you reliably identify vehicles with restrictions (stolen car, not licensed, unpaid fines, etc…), alerting the authorities when they have passed through inspection, allowing immediate action such as seizure of the vehicle, surrender of passengers and any other action. 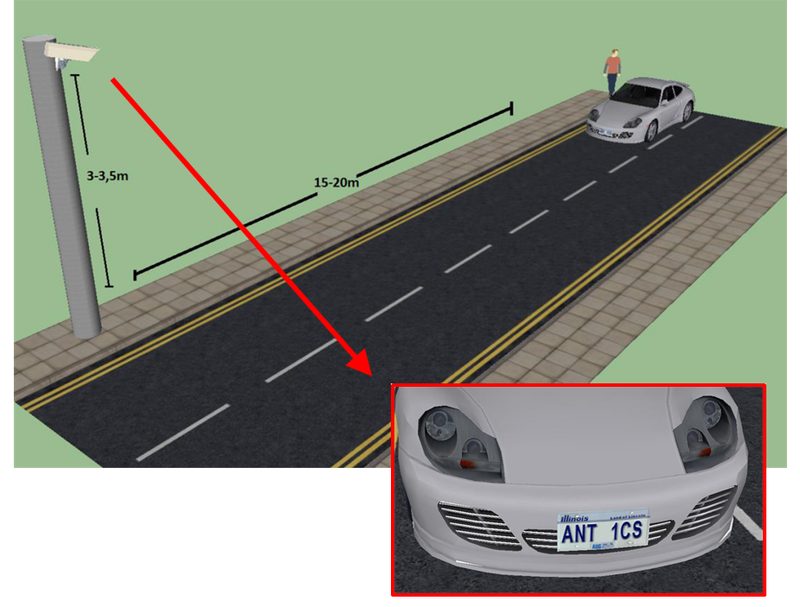 When passing by the camera, ANPR get a photo of the vehicle’s number plate, registering it on an images database, with date, hour and camera information, allowing a lot of consults and a more effective traffic management. Systems commonly use InfraRed (IR) lighting to allow the camera to take the picture at any time of the day. ANPR technology tends to be region-specific, owing to plate variation from place to place. Traffic control systems use ANPR units which provide details about the movement and flow of vehicles around the road network. These details can highlight the problem areas and help to make incident management decisions. The photograph of the car and the driver can be stored and retrieved if there is a need for evidence in disputes or crime situations. It features license plate character recognition in three levels of criticality: Low, Medium and High, that appear on the surveillance screen in different colors to alert the user. It has its own database for storage of recognized license plates along with the photo, date and time. It allows the option of including, in the database, any information which might be related to a recognized license plate. The database can be integrated with external databases for identification of possible irregularities. It features the option of saving the images from recognized license plates in an external folder instead of using a database. It allows the use of IP cameras or converted analog cameras with video-servers. It allows the use of Ethernet I/O modules, which enable the activation of specific functions, such as: the opening and closing of gates, etc. It sends a visual and audible pop-up on the surveillance screen when some event is detected, for example: stolen car. It features unlimited resources for database recording. It allows the recognition of automobile license plates at any speed, being only limited by camera resources (shutter), and without the need of special or additional licenses. 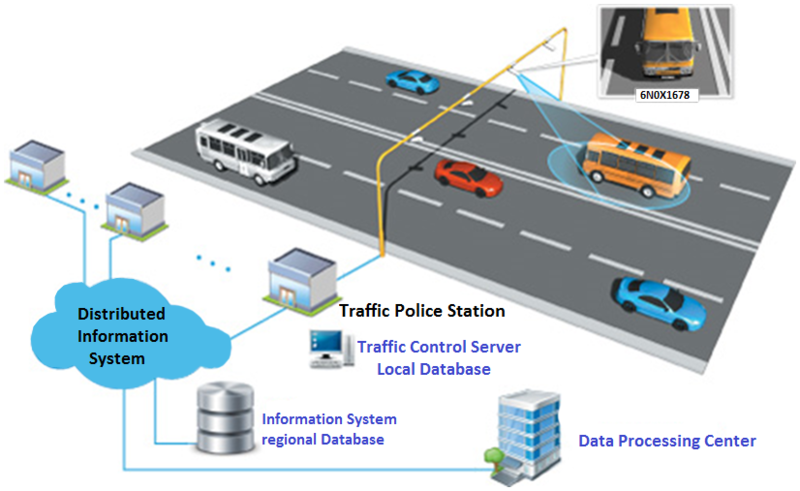 It features automatic distribution of the images received between the existing ANPR servers. It features a Failover capability, in which if a server fails, a second one will automatically assume the functions without the need for human intervention. It allows the license plate identification process on vehicles to be centrally done, solely relying on the means of communication used between the cameras and servers. It enables the capture of incoming vehicle images (by the front of the vehicle) and outgoing (by the rear of the vehicle), at the discretion of the user. It features a mask system for the license plate list. The masks can be used to generate events for a set of license plates that satisfy the mask configurations. 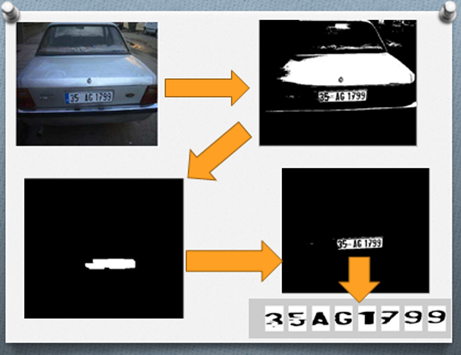 It captures images in the MJPEG, MPEG-4 or H.264 formats for license plate recognition. It allows importing and exporting license plate records with information related to the owner of the vehicle. It allows the exclusion of several license plates simultaneously. It allows the exclusion of old ANPR records and to establish a time frame for the retention of these records in the database. It enables the scheduling the activation of ANPR configurations. It is possible to associate peripheral or secondary cameras to the main camera (which will perform the OCR reading). It allows searching by the code of originality, of an image generated in a report. It allows a simple search using the license plate full information. It allows searching by date. It allows searching by camera. It allows saving or generating reports via advanced searches. It reproduces a video on the surveillance client of the captured license plates. It allows triggering via software the zoom in and zoom out of the license plates. It allows searching vehicles being followed by suspicious vehicles. It prints the image with a code of originality for proof of veracity. It generates a document relating to the vehicle with the front and secondary images. Generated by cameras associated with the main OCR camera and with the printed code of originality, enabling searches and future prints for proof of veracity. It allows the display of unrecognized license plates processed by the trigger. It provides a graph of result reliability. This graph represents character recognition reliability.